WinZip continues to be tightly integrated with Windows. You can use drag and drop within the user interface or from Windows Explorer into WinZip (or vice versa). 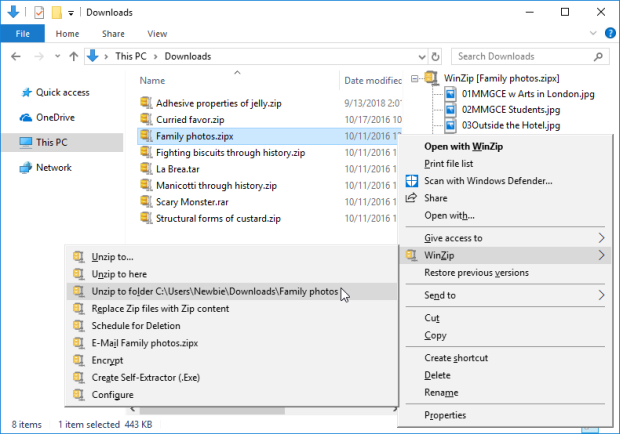 Powerful context menu features enable WinZip users to accomplish many of their common zip-related tasks without ever opening a WinZip window. Also, you can use the powerful Zip and Share (WinZip Express) context menu option, which will open WinZip Express for Explorer. Schedule files to be deleted. The Favorite Zip Folders feature searches for and organizes Zip files (and other archives if wanted) into one convenient list. This list is sorted by date, making it easier to locate Zip files, regardless of where they came from or where they are stored. 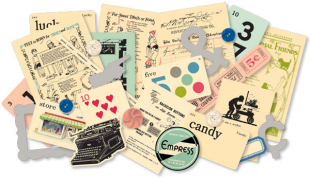 The list can also be sorted by filename or folder. Favorite Zip Folders is similar to having a WinZip specific library. To open Favorite Zip Folders, click the File tab and choose Favorites. XP users can click the Favorites button on the toolbar. This section concerns the 64-bit extension to the Zip file format. This extension does not involve or require a 64-bit version of Windows. WinZip supports the original Zip file format and the 64-bit extension to the Zip file format. The original Zip file format limited the number of member files in a Zip file to 65,535, and the maximum size of both the Zip file itself and any member file to 4 gigabytes. For all practical purposes, the 64-bit extended format eliminates all these restrictions. Using the extended format, the member file size, Zip file size, and number of member files you can add to a Zip file are limited only by your system's resources. WinZip remains fully compatible with the original Zip file format and uses the original format whenever possible. WinZip uses the 64-bit extended format only when the file you create exceeds the original limits. For more information, please see the article Information about size limits with WinZip. 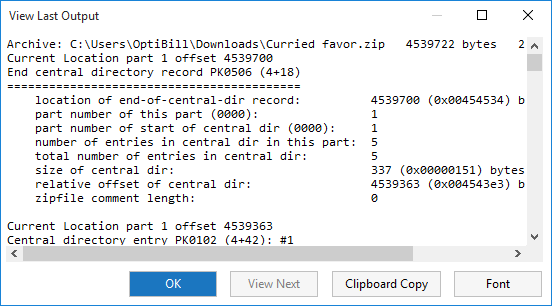 Note: If you receive or share Zip files that use this 64-bit Zip file extension, a Zip file utility, such as WinZip, that supports this format will be necessary to open and use these Zip files.